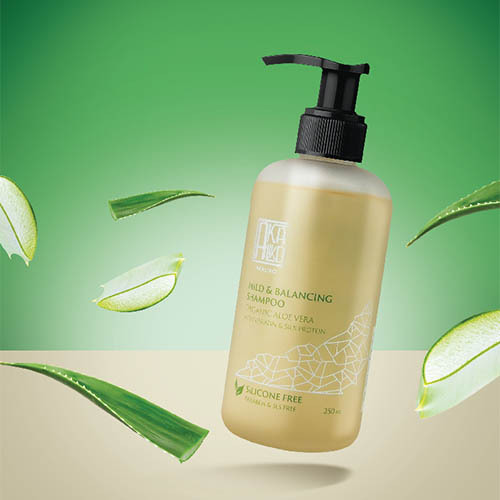 This gentle and effective shampoo is enriched with organic aloe vera help to replenish moisture and protects the scalp from irritation. Deeply moisturizes with keratin and silk protein for strong and healthy hair. It also maintains hair’s natural moisture balance, impart softness and shine. Suitable for all hair types. • Apply to wet hair, work into rich lather, and rinse thoroughly after cleansing. • This gentle shampoo can be used daily.